Cotton was one of the sickest cats that Carmen Morales has ever seen. 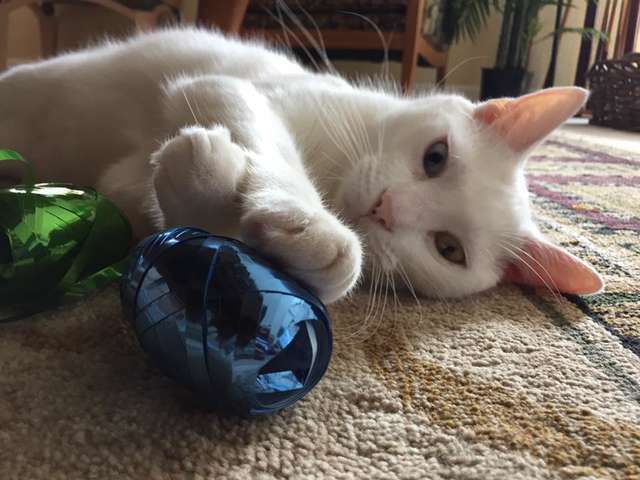 Morales stumbled upon Cotton when she was roaming the Florida streets as a stray cat. 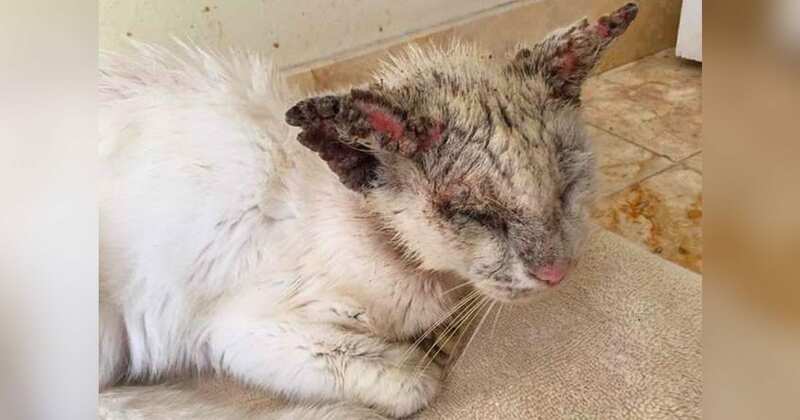 The poor little kitty was starving, completely covered in mange, and seemed as if he was in extreme pain. 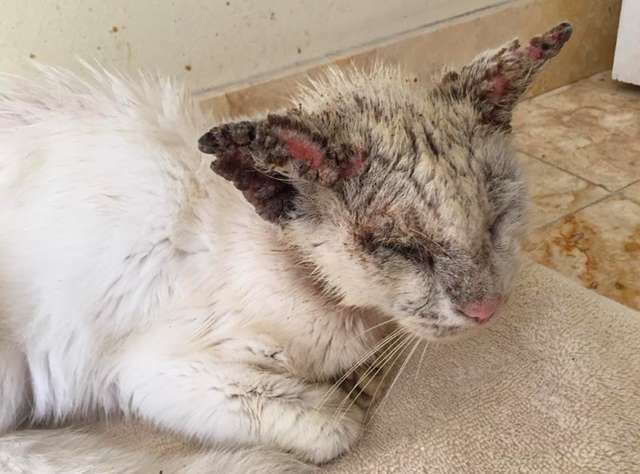 The mange was so bad that it spread throughout his body and forced his eyes shut. But Morales is a pro at rescuing cats and she knew exactly what to do. She even has a quarantine ward for cats set up in her bathroom so the sickly cats don’t infect the cats who are well that she has in her car. So she put Cotton in quarantine, fed him, and started treating him with lots of antibiotics. The poor sickly cat was terribly uncomfortable and itchy in those first few days. But after a few days, he started to show some improvement and looked like he was getting more comfortable. Cotton seemed to know that he was in good hands. Even though he couldn’t see, he knew Morales was trying to help him. And she put a lot of effort into it. He trusted Morales, even though he couldn’t see, and allowed her to coat his irritated skin in ointment and coconut oil every day. 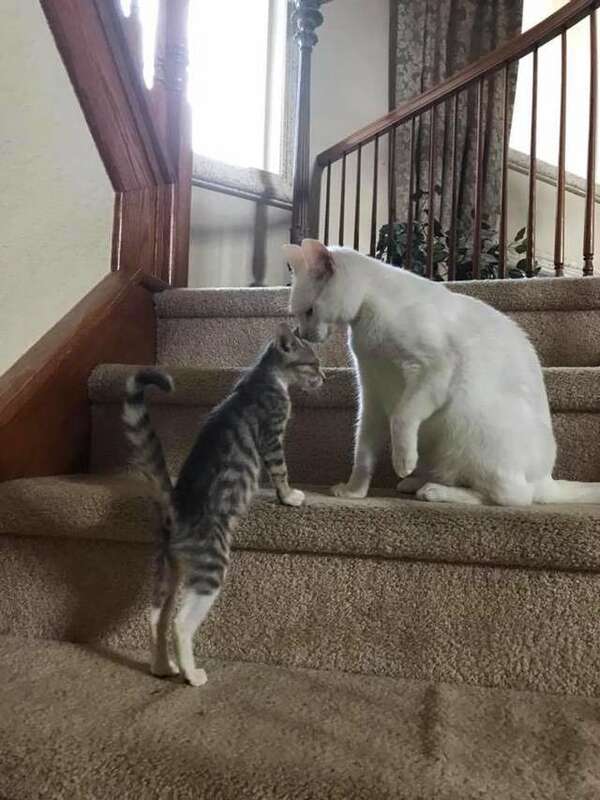 He even started to look forward to her company knowing he would get some affection and food. 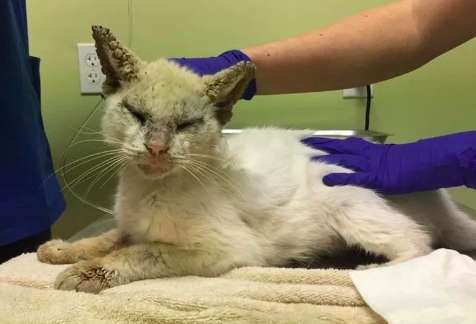 After a few weeks of constant care, Cotton’s mange was under control to the point where he was able to open his eyes. This event revealed a stunning sight. 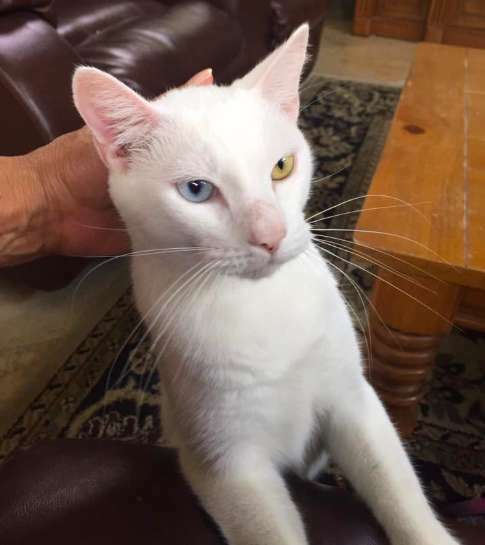 Not only was Cotton able to see again but he had brilliant colored eyes. One a hazel color and the other blue. 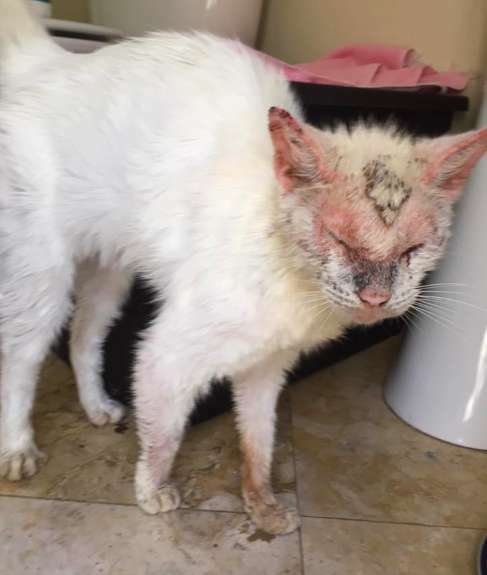 Within a few months, Cotton completely regained his health and looked like a brand new completely healthy cat. Morales assumed that Cotton was blind and that it was likely that he had been for many months. After three months, Cotton became especially attached to Morales. She was the only one that he wasn’t shy around and would allow to pet him. 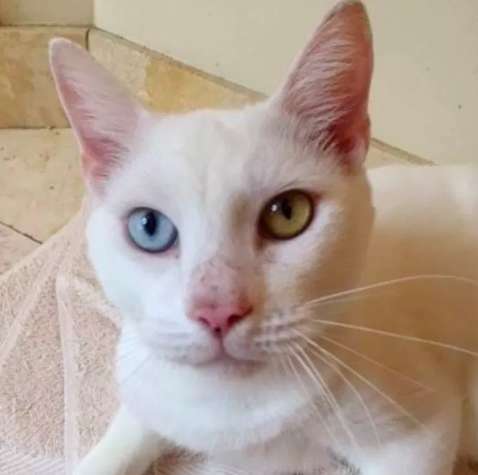 While there were loads of applications that came in asking to adopt Cotton, Morales couldn’t bear to part with him. She didn’t want him to have to suffer through another big change so now he is a permanent member of the family. 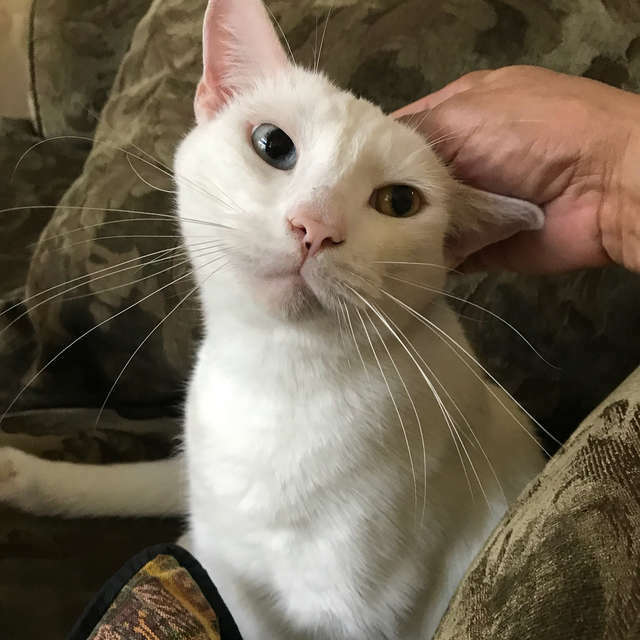 He’s living a pampered life with a family that loves him very much.